Most hosting companies provide their customers with panels to do the management. however, Exchange Server 2010 provides a decent management interface which is nothing but the Outlook Web App ECP. We are going to log in the ECP as Organization Admin. 1. At DC1, log in as Domain Administrator. 2. Launch "Internet Explorer", go to "https://mail1.contoso.com/ecp". 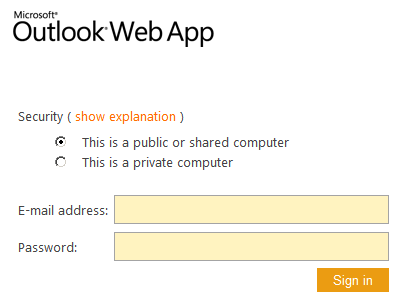 The E-mail address is instead of Domain\Username in the OWA authentication page. 3. Next to "E-mail address"﻿, type "administrator@abcoffee.com". 4. Next to "Password", provide administrator@abcoffee.com's password. The Administrator can create mailboxes, manage mailboxes and reset password in the panel. The Administrator also can create transport rules and tracking emails. At multi-tenancy environments, each user will only see their Global Address Lists accounts that belongs to the same organization. So a user in the Abcoffee organization will not see users in any other organization and vice-versa. By default, the default receive connector isn't checked "Anonymous Users"﻿ option. The email server doesn't receive the internet email. 1. 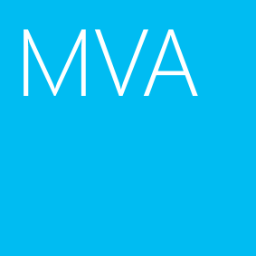 At Mail1, log in as Domain Administrator. 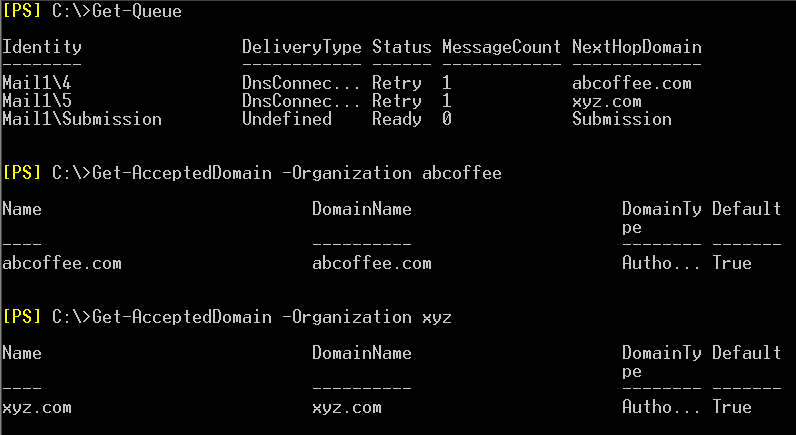 Set-ReceiveConnector -PermissionGroups 'AnonymousUsers, ExchangeUsers, ExchangeServers, ExchangeLegacyServers' -Identity "Mail1\Default Mail1"
Both domains are hosted in the same Exchange hosting server﻿. The e-mail can't route to the another organization. 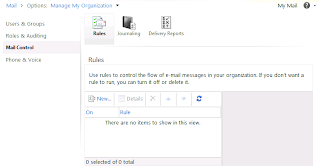 You have to create a new send connector to route the email. 1. At Mail1, still in Exchange Management Shell. 2. Enter the following cmdlet to delete a mailbox in abcoffee organization. 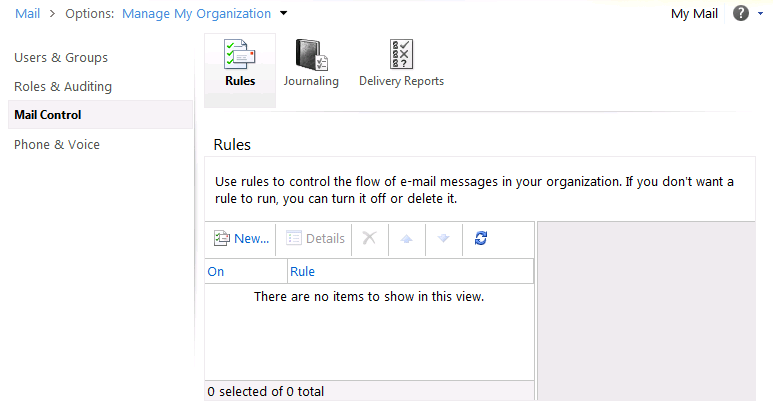 You will not be allows of purging on organization as long as it has mailboxes so we will need to, as a start, delete all mailboxes of the organization. 2. Enter the following cmdlet to delete all mailboxes in Abcoffee. 3. Enter the following cmdlet to remove Abcoffee organization.